Mathematics is not everyone’s cup of tea, we reckon. If you think that you are good at mathematics and enjoy the subject, why not use this skill in carving a niche career path for yourself? Here are top 5 careers that you can pursue if you are good at mathematics. As a statistician, you may be responsible for collecting information, developing newer and more efficient methods of collecting data, organising data and developing newer methods to analyse the information. We think that statistics was a much under-rated subject and career option till now. But as the need for information increases day by day, statisticians will be in high demand. How do you think the census and GDP numbers are generated? – Visit the website of the Indian Statistical Institute to look at course options, course durations and more. It has campuses in Delhi, Bangalore, Kolkata and Chennai. Computer Programming requires a lot of coding and calculations (yes, calculations…ask any programmer). We think that people who love mathematics will thrive in this occupation because it requires the attention span of humungous proportions which not many have. We’d go bonkers if we were staring at the computer screen and looking at coding and numbers all day. If that sounds like your cup of tea, go for it and be a part of the booming IT Industry! – You can be a computer programmer by either taking up a UG or PG degree offered by universities in India. Or get yourself certification from big IT houses like Microsoft, Oracle, etc. Or get yourself certified by national institutes like NIIT which offer certification courses in IT and IT Applications. Although not known by many, the Actuaries profession is a hotbed for mathematicians and statisticians (and it is very highly paid job as well). Do you know what Actuaries do? Actuaries are experts in analysing the financial impact of the events of tomorrow. They use past data, analyse the risk and uncertainty of the future and then prepare models to project future impact. The results are then communicated to related agencies (especially Insurance Companies). 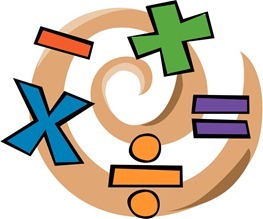 If you are good at mathematics, you will love this career option. -You can find out more about Actuarial Science and how to become an Actuary in India by visiting the website of the Institute of Actuaries of India. Do you know what a Business Analyst does? The job of a Business Analyst requires him / her to track and analyse the performance of the business using core data. After this is done, the Business Analyst gives recommendations and opinions regarding how the performance, efficiency or effectiveness of the business operations can be improved. If massive spreadsheets, millions of numbers, complicated formulas, creating business models, system implementation, exhaustive conclusions and reporting to key executives sound like a dream come true to you, we think you’re destined to be a Business Analyst. There is no formal education to become a Business Analyst, but degrees in finance, commerce or management will be generally desired by employers. Becoming a Mathematics Professor can be one of the most fulfilling occupations if you are good at maths. We think that a job as a Mathematics Professor at a university will be the most intellectually fulfilling career that you can embark upon. Convert your passion is numbers, theorems, geometry into a value added advantage for the students of tomorrow. Most reputed private universities look for PhD as a qualification in their professors. You can become an assistant professor or a professor at junior college after earning your PG degree. All this talk about numbers, analysis, theorems, data, information and more has got our brains saturated by now. If yours haven’t, you definitely need to check out these top career options. Good luck! "5 careers to pursue if you are good at Mathematics", 5 out of 5 based on 1 ratings. I might do one of these someday.